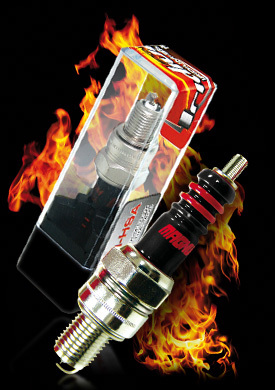 Magnum Iridium Spark Plug provides ultimate ignitability and longer sustainability. Platinum coated and Iridium core ensure highest ignition performance which improves acceleration and top speed, while providing stable idle, superior fuel efficiency and lower emissions. Suitable for race bike and road bike which demand high performance. 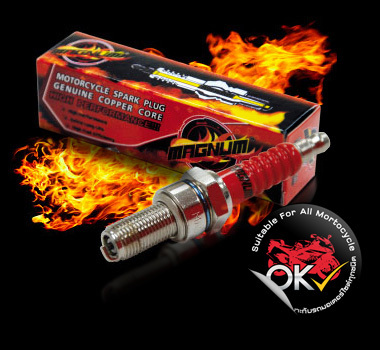 Magnum 3X Spark Plug’s unique revolutionary firing technology combines the advantage of surface air gap technology, triple enhanced ground electrodes and a heat-fused center electrode, creating a longer and more powerful spark resulting in better motorcycle performance and durability. 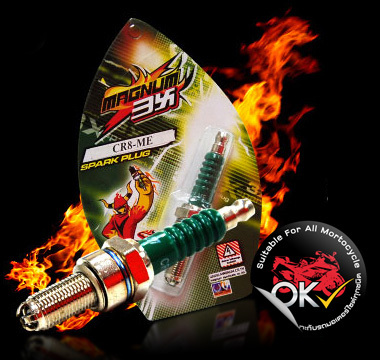 Magnum Spark Plug have nickel alloy ground electrodes providing excellent service life. In addition, the extrusion of copper into the center electrodes allows for increased conductivity and heat control which result in better performance. Suitable for all standard motorcycle.